Backpack carriers are a great way to hike in safety and comfort, both for you and your baby. Baby backpacks look very similar to camping backpacks but come with a fabric mounted on a rigid aluminum frame and a seat for the baby to ride on. 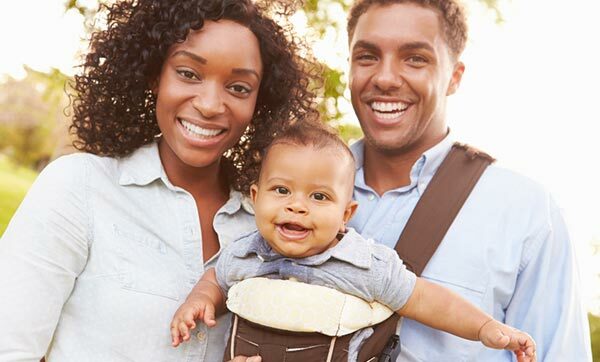 Like front carriers, a baby backpack is far easier to handle than a stroller as it distributes the child’s weight more efficiently, thereby allowing you to walk long distances, more comfortably than you would otherwise do. Not only that, the baby’s head is always in close proximity with your head, thus affording great views for the child and better bonding too. Backpack carriers mainly fall in two categories: framed and unframed. 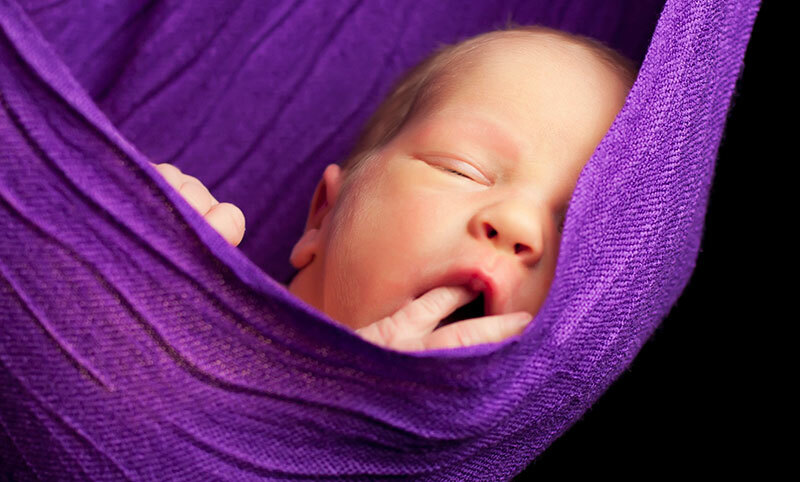 While the framed ones are more expensive and can be bulkier (especially when not in use) they do a great job at distributing your child’s weight. Non framed carriers are cheaper, but as they are without frame support, the baby tends to sit lower and can weigh down on you more. Finding that perfect backpack can be an intimidating task. Baby backpacks come in a variety of sizes and models. It is important to find one that fits your baby’s size. Most backpacks are designed for children weighing at least sixteen pounds. 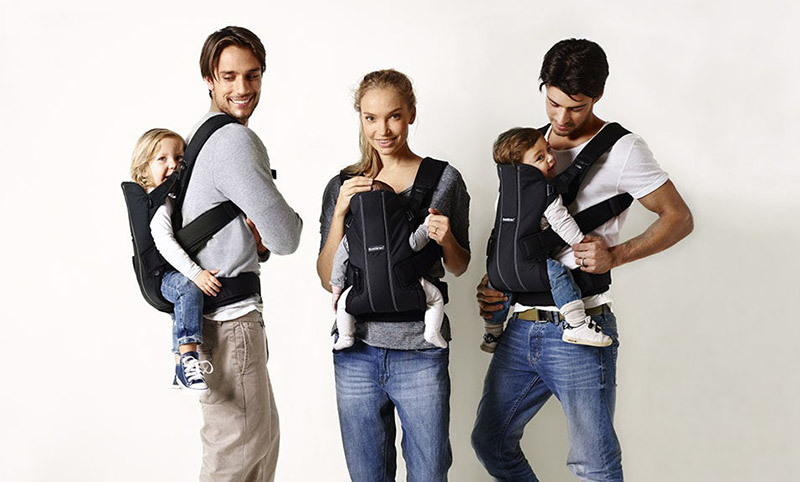 For someone less than that or an infant you might consider going for a front baby carrier. This is an excellent solution as carrying babies in this manner is very beneficial to keeping a baby calm and quiet, thanks to the closeness involved. Hiking backpack carriers are ideal for travel and out of town use. These externally framed backpacks offer a built in frame that allows you to actually wear your child high on the back, once he is at least six months old. 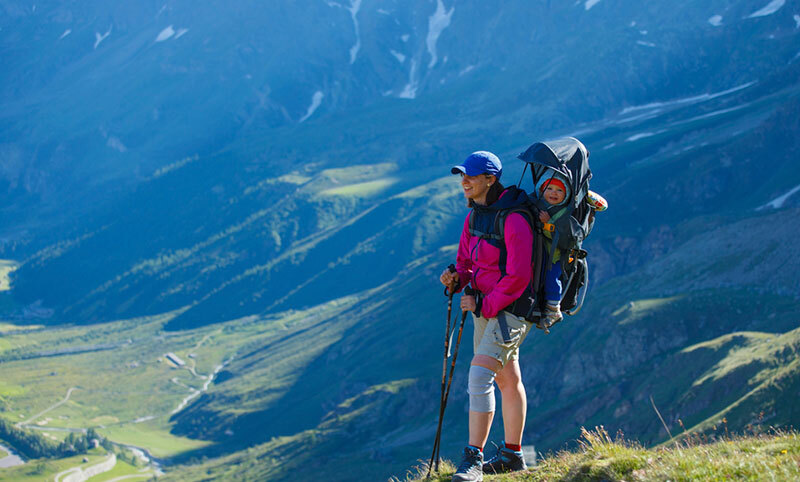 You can then head for the mountains hands-free, or with trekking poles, while your child stays safe and supported. Remember before heading out with your new backpack to adjust the straps, so as to spread the weight of the baby evenly on the hips and legs rather than the back. The total weight of a backpack along with the weight of the child should typically between 30 to 50 pounds. That usually occurs when the child is around 6 months old and is able to sit up independently, with total control of the head and neck. At this time the baby can go in the backpack carrier quite comfortably and makes it easy both for you and the child. Even though backpack carriers can look cumbersome at first, they are a great hit with parents thanks to the comfortable ride they provide. Here are a few of our favorites.